A despicable new spam attack is fooling people into installing a Trojan Horse by claiming to have "hijacked" their baby. The email arrives with the subject line "We have hijacked your baby" and demands a $50,000 ransom for the return of the child. It then claims to have a photo of the baby attached to the email. 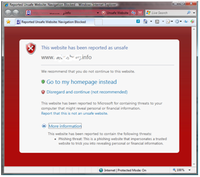 The file, entitled photo.zip, is in fact the Troj/Resex-Fam Trojan, which drops malware on to the affected PC. Aside from the odd terminology of "hijacking" a baby, the email provides other telltale signs that it might not be genuine, with the message reading: "We have attached photo of your fume"
Security firm Sophos, which discovered the attack, has condemned the perpetrators. "There's no other way of putting it - this attack is sick," says senior technology consultant, Graham Cluely. "Hackers have no qualms about exploiting a family's natural instinct to defend its most vulnerable members. Hopefully people will pause before opening the attachment, but the reflex action of some may be to click first and think later. openSUSE 11.0 is based on the Linux kernel version 2.6.25 and provides a cornucopia of features. If you choose to download the full DVD, you can expect a whopping 4.5 GBs for the iso-format file. Other options include a Live CD and over the network. The good news is that you can use a BitTorrent client to get the iso file. "openSUSE, created and maintained by the openSUSE project, is a stable, integrated Linux operating system that includes the latest open source packages for desktop productivity, multimedia, Web-hosting, networking infrastructure and application development. It contains everything you need to get started with Linux and is ideal for individuals who wish to use Linux on their personal workstations or to drive their home networks." To find out more details please refer here. Search Security reports during a charged presentation at the Black Hat hacking conference last week Mark Dowd of IBM Internet Security Systems (ISS) and Alexander Sotirov of VMware Inc revealed a fatal flaw in Windows Vista which potentially blows the OS wide open and in such a way that it cannot be fixed. Their method involves using scripting systems such as Java and elements of the .NET framework to run malicious code. This code attacks Vista's Address Space Layout Randomization (ASLR) and Data Execution Prevention (DEP) technologies and allows the hackers to load any content they desire to any location on a user's machine. "The genius of this is that it's completely reusable," said Security specialist Dino Dai Zovi to Search Security. "They have attacks that let them load chosen content to a chosen location with chosen permissions. That's completely game over. "What this means is that almost any vulnerability in the browser is trivially exploitable." 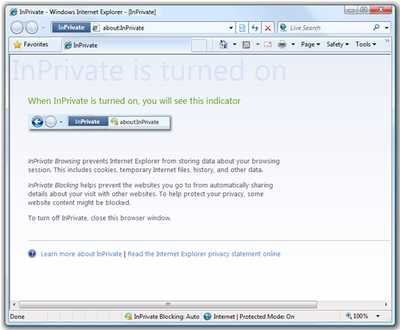 Naturally enough the entry method of choice is through Internet Explorer but it is not limited to this. The approach can also potentially be applied to other operating systems such as Windows XP and Mac OS X.
Unsurprisingly Microsoft has yet to comment on this as it no doubt takes a long hard look at Dowd and Sotirov's findings. Of course these are likely to go public soon so expect this to be a red hot topic over the comings months. Checkpwd 1.23 is (AFAIK) the fastest (see Benchmark) dictionary based password checker for Oracle databases. This is a useful tool for DBA's to identify Oracle accounts with weak or default passwords. Version 1.23 contains a version which only shows that a password is weak but not the password itself. Fact Sheet about Oracle database passwords. TorrentFreak, claimed that 19 percent of Windows desktops run either the official BitTorrent client or µTorrent application. A massive hole in the popular peer-to-peer (P2P) client µTorrent has put the computers of millions of file sharers at risk of hijacking. The vulnerability allows hackers to execute code on remote systems, and opens the targeted system to further exploitation. Hackers can create a stack-based buffer overflow by enticing users to open dodgy .torrent files, the format in which BitTorrent data is stored for distribution. A boundary error caused by the way µTorrent processes .torrent files occurs on execution, opening a backdoor for malicious code execution. Both the affected BitTorrent release and µTorrent version 1.7.7 remain unpatched. µTorrent users have been advised to upgrade the current 1.8 release, which has reportedly patched the hole, while BitTorrent users should avoid opening unknown .torrent files. Please refer here for further details and click here to download. Facebook users are being targeted by malicious hackers through postings on the popular Wall section of the social-networking site, security company Sophos said Thursday. The Wall, a core feature of Facebook profile pages, is used by members to leave each other messages that in addition to text can also contain photos, videos, music and links to Web sites. The malware attack comes in the form of a Wall message supposedly posted by a friend that urges members to click on a link to view a video on a Web site supposedly hosted by Google, said Graham Cluley, senior technology consultant for Sophos. However, the link takes users to a Web page that isn't hosted by Google, where they are told they need a new version of Adobe's Flash player and are urged to download an executable file to watch the video. Banks offering security software is not exactly a new development, but Westpac's arrangement has an interesting twist: customers can download a free copy of PC Tools' anti-malware, firewall and privacy protection packages. There doesn't seem to be any validation process to confirm if you're a Westpac customer or not, so in effect anyone can get a free copy of these programs. Westpac, in partnership with online security specialist PC Tools, is offering 12 months free access to the following software products to help keep you secure online. When you download the software, you can choose to purchase an additional 12 months protection upfront, or you can renew the subscription at the end of your free 12 months. Award-winning spyware and virus protection to help secure your PC against privacy, tracking and virus threats. Spyware Doctor is an utility which detects and removes malicious software and spyware. Protect your privacy and computing habits from prying eyes and virtual trespassers with the help of Spyware Doctor. Privacy Guardian helps protect your privacy by ensuring all traces of your online Internet and computer activities are erased and unrecoverable on your PC. Information from every website you visit is stored on your computer and recorded in hidden Windows® locations including temporary files, cookies, system registry and the index.dat file. Privacy Guardian securely cleans the data out of hidden files that may be overlooked by clearing your Web browser. PC Tools Firewall Plus is a powerful personal firewall Designed for Windows® Vista™, XP, Me, 98 and 2000 that helps protect your computer from intruders and controls the network traffic in and out of your PC. By monitoring applications that connect to the network, Firewall Plus can stop Trojans, backdoors, key-loggers and other malware from damaging your computer and stealing your private information. People at Kaspersky Lab have intercepted two new worms squirming through MySpace and Facebook, using social engineering lures to plant malware on Windows systems. The worms propagate via the comments features on the two popular social networks, using video lures and fake Flash Player downloads to trick end users into installing malicious executables. * Is it really celebrity? Funny Moments and many others. Please refer here for full details.